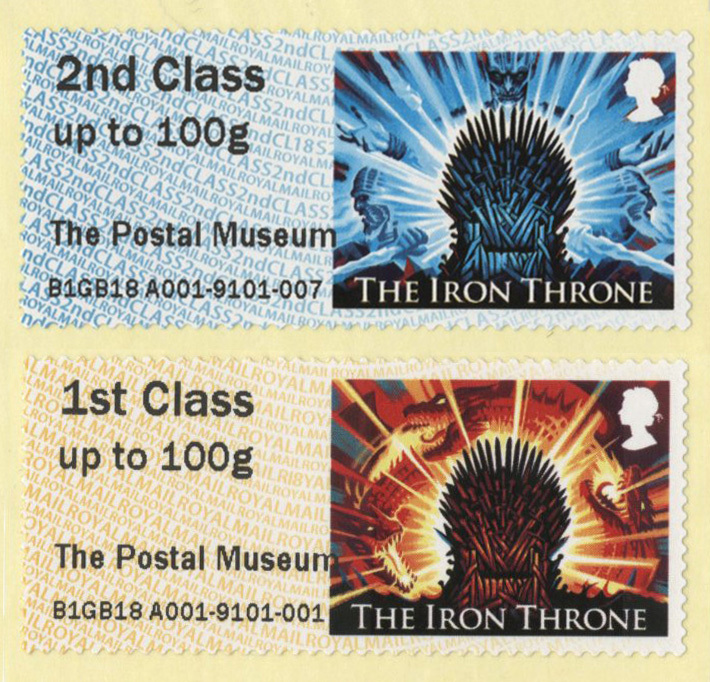 The Postal Museum has announced today that the new Game of Thrones Post & Go stamps will be available from its machine from 23 January. This is the first time there has been a Post & Go issue coordinated with a Royal Mail special issue. A must have for all fans of philately and the hit television series, the issue comprises of two designs. Both depicting the Iron Throne, the two stamps show different backgrounds, one with Targaryen Dragons and the other with the Night King and White Walkers. The issue is available in all denominations. The stamps will replace the Machin Commemorative and the Machin 2nd Class and will be available for one month. The Post & Go machine is available on the ground floor of The Postal Museum during normal opening hours. See our website for more information.